The Legends Hoops summer league team Killer Bees is, back row from left, Tony Munoz, David Bown, coach Naaman Hightower, Jack Loomis, Angelo Vivan, front row, Matt Huen, Max Cluer and, not pictured, Anthony Clerici and Liam Alexander. The Legends Hoops summer league team Elite Ballers is, back row from left, Blake Hoban, coach Tom Salsman, Loren Castro, Ryland Campos, front row, George Bolen, Carson Bacci, Tes McAvoy, Nicolaus Holasek, Morgan Hoban and, not pictured, Jeremy Bradley and Trevor Ellena. 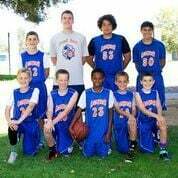 The Legends Hoops summer league team Just Do It is, back row from left, Beau Miller, Jonathon Gamble, Tony Gonzales, Scott Smith, coach Jalen Dupree, front row, Theo Lemieux, Luke Williams, Hassan Shafi and, not pictured, Casey Potrebic, Danny Ruiz, Ben Trette and Seth Morrison. The Legends Hoops summer league Vitamin C is, back row from left, coach Trent Rojas, John Lopez, David Villagran, Jack Troendly, front row, Aidan MaGee, Carlos Caravantes, Josiah Gutierreez, Giancarlo Guerrero and, not pictured, Ben Martin, Aidan Cushing and CJ Tiebout. 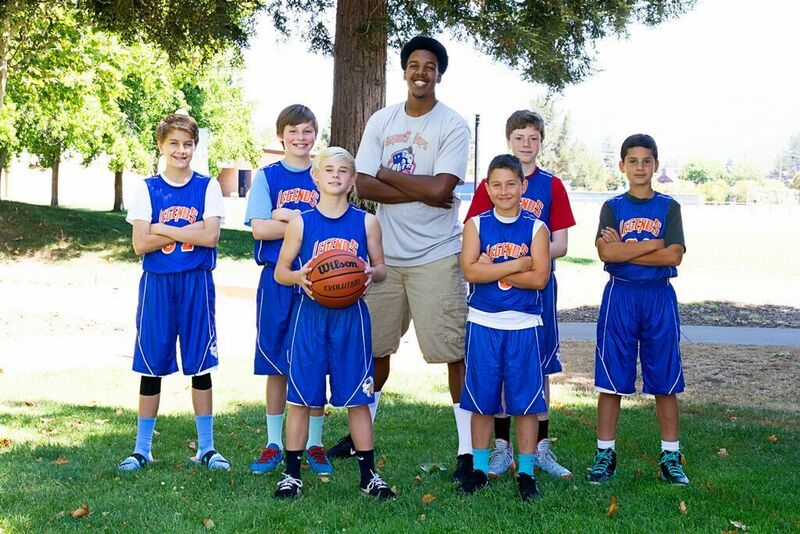 Former Napa Valley College men’s basketball player Naaman Hightower coached the Killer Bees, a boys basketball team in the middle school division to the championship of the first Legends Hoops summer league on Aug. 1. The 6-foot-8 Hightower, now playing for Sonoma State on a NCAA Division II scholarship, saw took the Bees in as the underdog following a third-place finish out of four teams in the regular season. Napa High graduate Tom Salsman, the 2014-15 All-Napa County Offensive Player of the Year, coached the Elite Ballers to a first-place finish in the 10-game regular-season standings and second to the Bees in the title game. Salsman, who gained coaching experience with Napa Valley Basketball Alliance’s AAU teams for several years, is expected to play for NVC this winter under head coach Steve Ball and assistant coach Carson Carattini. Jalen Dupree, who played point guard for NVC and is now at Alaska-Fairbanks on a Division II scholarship, coached “Just Do It” to the consolation championship over Vitamin C, coached by Trent Rojas, a St. Patrick-St. Vincent grad who was a freshman on the Storm squad last winter. Joe Donohoe, whose St. John the Baptist Catholic School teams won the last two boys titles of the Dan Clark Tournament at Justin-Siena, and Bethel High assistant coach Andre Chilton also coach for Legends. The league was open to boys at all Napa Valley middle school, public and private, and used high school rules. All games were at NVC or Justin-Siena. Legends Hoops also formed an eighth-grade girls travel team, Lady Legends, that finished second in the Fairfield-NBBA fall AAU tournament league. The team received training from Carattini and shooting workouts from coach Cliff Sherlock in addition to their weekly practices with head coach Brandon Groves and assistant coach Scott Ghisletta. After a fire at the NVC gym forced the summer league out after a few games, the league held games at St. Apollinaris Catholic School and Justin-Siena the college gym was repaired and cleared for use again. Legends Hoops is finishing up its fall season of individual player skills clinics for fundamentals and shooting, team training for school teams, and its fourth-grade boys and eighth-grade girls travel teams are playing in their last tournaments before most players go on to play CYO. Legends will now have a competitive boys winter middle school league. Final player assessments are at 6 p.m. on Nov. 2 and Nov. 4 in the small gym at Redwood Middle School, 3600 Oxford St., Napa. Hightower’s Seawolves will open their season with an exhibition game at St. John’s in Queens, N.Y. at 1 p.m. next Saturday. Sonoma State will then compete in the CCAA/PacWest Challenge Nov. 13-14 at Dominican in San Rafael, where Hightower will face former NVC teammate Nick Cary and San Francisco’s Academy of Art at 5:30 p.m. Nov. 14. Dupree’s Nanooks will be playing their closest game to Napa at 6 p.m. Friday, Nov. 6, when they visit Nevada-Reno. Napa Valley will open its season at 4 p.m. Nov. 6 against Fresno City in the first round of the Nov. 6-8 City College of San Francisco Tipoff Tournament.